The ESFJ is among the most people-oriented of all types. This can be understood in terms of their extraversion orientation, as well their dominant personality function, Extraverted Feeling (Fe). The introverted ISFJ tends to be less outgoing and boisterous. Like INFJ career-seekers, they enjoy time to themselves in order to recharge their introverted batteries. But because ISFJs also use Fe, they bring an interpersonal orientation to their life and work. As is true for other personality types, ESFJ and ISFJs are wise to consider whether a given career, job, or college major is compatible with their top two personality functions (i.e., their dominant and auxiliary function). These two functions represent a type’s signature strengths and inclinations. For SFJs, these two functions are Extraverted Feeling and Introverted Sensing (Si). Fe is an interpersonal function, involving the outward expression of feeling judgments. It compels SFJs to help, manage, instruct, or guide others. Si confers a desire to protect and maintain the “tried and true.” It is a rather conservative function, striving to preserve the status quo rather than exploring unconventional ideas or actions. Si also contributes a strong attention to detail, proving useful for clerical or administrative tasks. Furthermore, Si can engender a desire to pass along acquired knowledge and wisdom. When combined with Fe, it inspires many SFJs to seek careers as teachers, ministers, or trainers. One of the best tools for matching interests, jobs, careers, and majors is the Holland Inventory. The Holland includes six major interest areas—Realistic (R), Investigative (I), Artistic (A), Social (S), Enterprising (E), and Conventional (C)—collectively known as “RIASEC.” After identifying your top two or three interest areas, the letters can be combined to form a two or three letter Holland code (e.g., SCI, CSE, etc.). This code can then be matched with the codes associated with various careers, jobs, and majors. The Realistic domain entails “hands-on” jobs and careers. Some examples include construction, auto repair, farming, forestry, and machine operation. Individuals with Realistic preferences often prefer Myers-Briggs Perceiving, Thinking (especially Ti), and Sensing (especially Se). Consequently, SFJs are typically less interested in Realistic work than that of other interest domains. The Investigative domain includes careers and majors in science, research, law, medicine, and scholarship, as well other forms of investigative work. 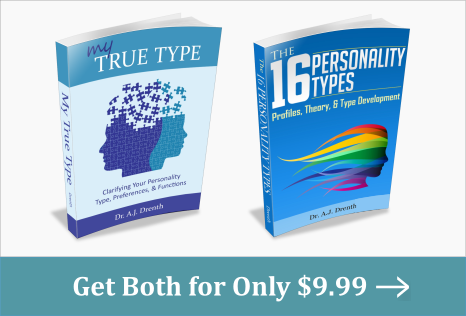 This domain is associated with Myers-Briggs Thinking and Intuition. Therefore, Investigative careers are typically not recommended for ISFJs or ESFJs. The Artistic domain entails creative work like writing, music, film, poetry, and literature. This domain can be associated with Intuition, Feeling, and Perceiving. While SFJs may aspire to be creative because of their inferior (or tertiary) Ne function, Artistic careers are typically not their strongest suit. The Social domain is typically populated by Feelers and Extraverts, making it a perfect fit for ESFJs and a good fit for ISFJs (since their Feeling function is extraverted). Social interests are common among teachers, healthcare workers, clergy, trainers, caretakers, etc. The Enterprising domain involves the promotion of products, ideas, or services. Enterprising careers include work in sales and marketing, insurance, law, politics, journalism, stock trading, etc. Enterprising individuals commonly prefer Extraversion. Because their Feeling function is extraverted, ISFJs are typically better salespersons than their ISTJ counterparts. However, as introverts, sales work can be fairly draining work for ISFJs. Often realizing this intuitively, most ISFJs shy away from Enterprising careers. ESFJs, by contrast, are natural salespersons. They love talking, connecting, and meeting the needs of their people. Individuals with Conventional interests enjoy administrative work. They are organized, detail-oriented, and good at managing data. Conventional careers include things like accounting, bookkeeping, clerical, secretarial and administrative work, banking, proofreading, payroll, and technical writing. Those with Conventional interests often prefer Myers-Briggs Sensing (especially Si), Thinking (especially Te), and/or Judging. Although Conventional work is not as “ideal” for ISFJs as it is for ISTJs, it is still one of their best options, especially if it involves intermittent opportunities to engage with or help people. While ESFJs may also prove competent in Conventional work because of their auxiliary Si function, it would ideally comprise a smaller percentage of their work activities.